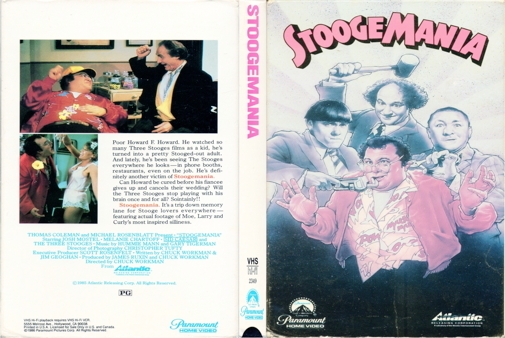 This comedy fuses Three Stooges clips with a storyline about a "Stooge Maniac" who is so obsessed with the comedians his sanity comes into question. Josh Mostel plays Stooge devotee Howard F. Howard, and Melanie Chartoff is Beverly, the woman of his dreams. Howard's condition is analyzed by Dr. Fixyer Minder (Sid Caesar) and for awhile the Stooge fanatic spends some time in a mental institution. Will this damage his love affair with Beverly? And will he know it if it does?